You rarely have a course starting with a Par 5. Uphill, a blind shot to the green. It does not get much easier through the remaining 17 holes. 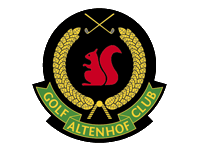 Great holes in and out - stay focused, Altenhof does not allow moments of minor attention. The end of the round is as unusual as the start - the finishing hole is a tough Par 3.